The Henderson-Wessendorff Foundation was created July 12, 1972 as a successor to the Robert W. Henderson Foundation and now includes the Estates of Joe Clyde and Loise Henderson Wessendorff. Since Loise's death in 2008, the Foundation Board has grown to seven Directors and is charged with continuing the wishes and good deeds of its donors. "Funeral services for multi-millionaire, Robert Wilson Henderson, 73, were to be held at two p.m. Thursday in St. Paul's Methodist Church. The cotton merchant, landholder and rancher died of a staphylococcus infection Wednesday afternoon in Memorial Hospital. The body of the man that rose from a Corsicana sorter to become friend and confident to three Texas Governors, was to lie in state at the church from 1 p.m. until services. Dr. Alfred H. Freeman was to officiate. Burial was to be in Forest Park Cemetery, under the direction of George H. Lewis & Sons Funeral Home. Large and robust, Henderson pursued enough interests to satisfy several men. He was Chairman of the Board of Henderson Cotton Company, which he organized shortly after he came to Houston in 1914. He was President of Houston Farm Development Company, which owns 47,000 acres of rice and cattle grazing land in Brazoria County. He was also President of Brazoria County Rice Company, a Director of First City National Bank, and Houston Lighting & Power Company. 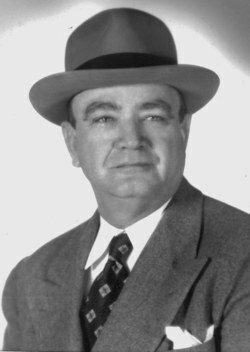 Although his name was rarely connected with it publicly, Henderson helped pioneer the development of Houston Industrial Real Estate. Much of the property on Clinton Drive from Hill to McCarty Drive had been owned or handled by Henderson. A staunch political conservative, Henderson's influence was felt in local and state politics. He was the King maker, not the King. 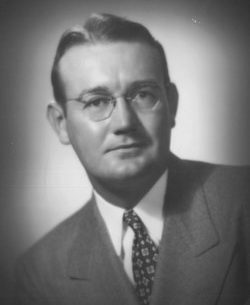 As Harris County Campaign manager, Henderson helped put Beauford Jester into the Statehouse in 1946 and 1948, remaining a close advisor until the Governor's death. He helped organize a group to back conservative school board candidates, and was largely credited with the consistent success of the conservative slates. "All I want is good sound American education for our children" he said repeatedly. Former Governor Allan Shivers and Governor Price Daniels considered the husky Houstonian a close friend. Shivers called on Henderson to serve on Government committees. He was Chairman of the Draft Appeal Board of Harris County from 1940-1945 and served on the Board of Stewards at St. Paul's Methodist Church. Despite his many faceted business and civic responsibilities, Henderson became an expert horseman and hunter. He kept 60 hunting dogs, and maintained a lodge in Montgomery County. He was chairman of the Board of the Gulf-Coast Field Trial Club, Past President of Texas Fox and Wolf Hunters Association. He kept membership in four country clubs. A man of warmth and wit, Henderson often invited friends to lunch with him in his Clinton Drive office. The fare was always the same-cheese, crackers, and canned soup-no matter how prominent the guest. Henderson, born in Milford, grew up in Corsicana. As a boy he went to work as a cotton sorter, learning all he could about the cotton business. He started the Henderson Cotton Company in a shed on Clinton Drive, by reconditioning and selling cotton damaged in the Galveston hurricane of 1915. Henderson immediately instituted a "Share the profits plan" for his personnel. Year after year the enterprising young man prospered. In 1916, he married his childhood sweetheart, Loise Jackson of Corsicana. He and Mrs. Henderson had resided at No. 5, West 11th Place for 39 years. Survivors include his daughter Mrs. Joe C. Wessendorff, 700 Hillcrest Drive, Richmond; a sister, Mrs. M.V. Bowles; and a niece, Mrs. Fred T. Couper, Jr, 2300 Piney Point Road, Houston." Loise Jackson Henderson was born in Mexia, Texas on January 5, 1890 and died April 1, 1989. For many years, she had wanted to write a book entitled "Do You Believe", and prior to her death, with the help of her daughter, Loise Henderson Wessendorff, the feat was accomplished. The following are excerpts from that book. It is an autobiography with many of her personal thoughts and stories. The title comes from her idea that "by telling what I believe, I hope to challenge those who have not thought about what they believe, to do so and those who have pondered their beliefs, to compare theirs with mine." Mrs. Henderson's book adds some clarity to a few of the things mentioned in Mr. Henderson's obituary. The lodge in Montgomery County was built in 1936 and was called "Ole Moon Camp" after one of Mr. Henderson's favorite dogs "Ole Moon". Mrs. Henderson continues, "During the winter months, we often spent the weekends at Ole Moon. Just recently, I gave the houses and 20 acres around them to St. Paul United Methodist Church. I am happy to say they take groups there almost every weekend." In regard to her husband's love of the outdoors: "Bob was also a great hunter; he had 63 hunting dogs when he died. Tookie (Richard Hampton) cared for them, and right after Bob died, Tookie said, "Mr. Bob needs me to come look after him," so, two weeks after Bob died, Tookie, who then seemed to be in fairly good health, died. I have always felt that they are together." Mrs. Henderson was an active member of St. Paul's Methodist Church and worked with the Garden Club of Houston and the Bluebird Circle that had various projects to raise money for a Children's Clinic for neurological disorders in the Methodist Hospital. 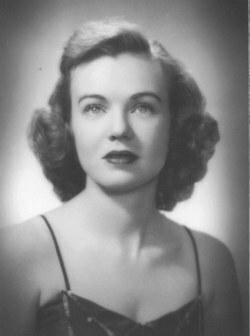 Loise Douglas Henderson Wessendorff was born to Mr. and Mrs. Robert W. Henderson on July 29, 1922 at Memorial Hospital in downtown Houston. Originally, she was a member of St. Paul's United Methodist Church in Houston, but after she moved to Richmond and married Joe Clyde Wessendorff in 1947, she and Joe became active members of Calvary Episcopal Church. Joe came from a well known family in Fort Bend County and Mr. Henderson was pleased with the choice his daughter had made. He often stated that Joe was "as handy as a pocket on a shirt." 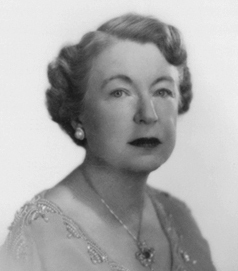 Loise attended Kinkaid School in Houston for 9 years and graduated high school from Hockaday School in Dallas in 1940. She then attended the University of Texas for four years where she was a member of Kappa Alpha Theta and later in life, attended the University of Houston, spending a great deal of time reading and learning about religion and spirituality. In 1965, Loise H. Wessendorff had a dream. She had been in a somewhat depressed state after the death of her father in 1960. Mr. Henderson, a sportsman and businessman, set up a Foundation on December 28, 1956, with the goal of helping others. Mr. Henderson realized that he was fortunate to have the ability to make money, and enjoy a pleasant lifestyle and realized that not everyone was as fortunate. He wanted to make a difference and instilled in his daughter the need to help others, love animals, and protect the environment. In the dream, she was to help others learn about Jesus and the healing power His love can bring. She wanted a place where people could come, away from the bustle of life, to meditate and to study the life and message of Christ. She looked in many areas of Texas and finally settled on a piece of property in the hill country near Blanco. The location was magical. The Blanco River has created a formation known as the Narrows, which is a geological phenomenon even for Texas. When the water is rushing through the narrow limestone rock the roar can be heard for miles. In the limestone itself are fossils of marine creatures that inhabited the area long ago. The natural beauty is remarkable. This, however, was not enough. There was a hill, a mile or so away from the Narrows, which offered incredible views of the surrounding hill country. On this hill, Loise began to fulfill her dream in 1967. As time went on, a statue, Chapel, several dormitories, a canteen, a library, and some small Sunday houses were added. Today, Well Spring Retreat Center is the place Loise dreamt of in 1965 and since then, over 75,000 people have had the pleasure of visiting the center. Before I begin I need to say something, "Loise Wessendorff could be difficult". Now, that being said, I want to tell you a story that not many of you probably know. 40 years ago I went to the retreat center that Loise built near Blanco, Texas called "Well Spring." I was there with my seminary class. At the time there were just two buildings there for our use plus the Chapel and an 18 foot statue of Jesus. For me the retreat setting was what I was looking for. It was a place in the wilderness to meet Jesus. I wrote Loise after the retreat and told her how special it was – especially the bronze statue of Jesus coming out of the tangled cedar trees with open, out stretched hands. About a week later she called me on the phone. She had received the letter and she said "that's it, you've got it" and then she invited me to Houston to have lunch. When we met, she talked about her life and Well Spring. She told me that when her father died in the early 60's she felt lost and became very depressed. She did not know where to turn. In her despair, someone gave her a book by Leslie Weatherhead called "The Transforming Friendship". And then, with the enthusiasm of an evangelist, she told me how this book had made her look at a relationship with Jesus as she never had before. Not as teacher, not as prophet, not ever as savior – but as FRIEND; someone with whom she could talk, with whom she could visit and with whom she could laugh and cry. "I was a changed woman", she said, "From the depressed soul I had been, to a person with a mission". This mission was to spread this GOOD NEWS about Jesus. NOW, Loise all her life was a worrier and a fixer. She worried about people, about cats and dogs, about the cattle at the ranch, about her donkeys; she just worried about many things. AND, she saw her job as one who should fix things that she saw as needing fixing – for example her house for the cats so they would be safe and taken care of. WELL, after her revelation about how lives could be transformed by a new living relationship with Jesus, she vowed to build a place where people could go and meet the welcoming Jesus; the Jesus who had transformed her life. She commissioned Charles Umlauf, the famous sculptor, to sculpt a great statue of her idea of the Welcoming Jesus. AND, she knew how it should look. Charles Umlauf argued with Loise about how it should look, but Loise won the argument; she wanted open hands. The statue was cast in Italy and brought to the Hill Country on a flat bed truck –where Jack Felps moved it around and around until Loise said "THAT IS THE PLACE". Jesus was coming out of the cedar wilderness with open hands to the Chapel (which was not yet built). And she told me "in the quiet isolation of the Hill Country, a place away from the city noise, one can be still and realize the Jesus of history is the Jesus of NOW, a friend who wants to meet us." When I came into the picture 40 years ago, she said "I was one of the few who got it. You need to help me tell others". So, for years I have invited people to come and meet Jesus at Well Spring, I have taught about Well Spring and I have promoted Well Spring because that was what Loise wanted. That is the Loise I have known for 40 years. I have been her friend, her confidant and her confessor. She has been my light into a world of the transforming Jesus, an inspiration. Over 50,000 people have had an encounter with the living Jesus because of Loise Wessendorff. So Loise is now in that place where there are no tears, nor sorrow called paradise; where God does all of the worrying and Jesus does all the fixing. Jesus said to Loise one day years ago "everyone who drinks of this water will thirst again, but whoever drinks of the water that I shall give will never thirst again. The water that I shall give will become in you a spring of water welling up to eternal life." Well done Loise, Good and faithful servant. Joseph Clyde Wessendorff was born July 21, 1917 in Richmond, Texas to Joe A. and Jane Johnson Wessendorff. He attended school in Richmond, graduated from Texas A&M in 1937 and attended law school at the University of Texas where he was a member of Chi Phi Fraternity. Joe was called to the Army in World War II, served as an Infantry Captain in Africa and Italy in the 91st Division and was awarded the Silver Star and the Bronze Star. After the War, he returned to Richmond to live and serve the community which he loved. Joe married Loise Douglas Henderson in 1947. He was a member of Calvary Episcopal Church and served as Senior Warden several times. Joe had the gift of making deals and was in cattle, ranching, lumber, insurance and banking businesses, serving as President of several banks. He was Chairman of the Board of Polly Ryon Hospital (later named Oak Bend), and Chairman of the Board of the George Foundation at the same time for many years, both in Richmond, Texas. He was President of Morton Cemetery Association, allowing the non-profit organization to have office space at no charge, and served on the Boards of Houston Lighting & Power Company (Reliant Energy), Texas Medical Center and Texas Children's Hospital. He also managed Houston Farms Development Company on Chocolate Bayou near Alvin for many years. Joe was a member of the Houston Country Club, River Oaks Country Club, Fort Bend Country Club and Rotary Club of Richmond. He loved the outdoors including hunting and fishing and was a great sports fan especially of football, baseball, and golf. Joe truly understood the concept of helping those in need. The number of unselfish and unknown good deeds done by Joe to help those of his beloved county is extensive. His death in 2006 was a huge loss to many.